Day: Saturday, September 28, 2013 NOTE: this event has already happened, find current-year events on the events page. Please join us! The event will be held Saturday, September 28 from 10 am to 2 pm at the Shops at Park Lane on the southeast corner of the intersection of the Central Expressway service road and Park Lane. In the event of rain (current forecasts are showing it may hold off until the evening), we have a back-up plan that has the event moving to a parking garage across from the parking lot. We will have staff present to direct traffic to the new location if necessary. Please stay tuned to our Facebook and Twitter pages for the most updated information. There are currently 97 attendees registered. 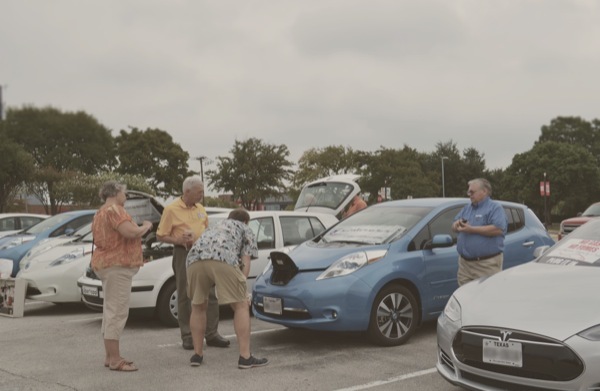 Registered attendees report electric miles driven.